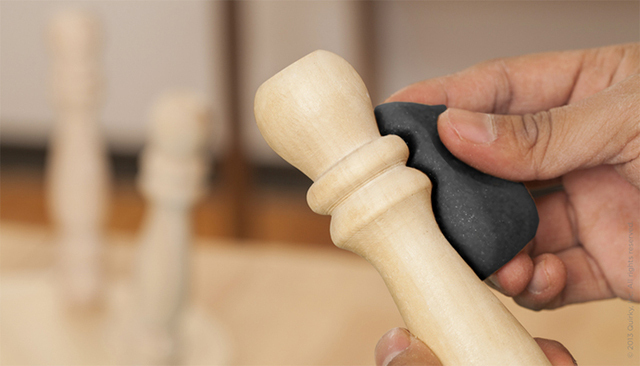 An abrasive for hand sanding challenging corners and moulding profiles - one that you warm in a microwave, then mould to the exact shape you're sand - is an innovative idea, developed and submitted at Quirky, a crowdsourced-innovation website. That product never made it to market, and in fact, Quirky may go out of business. But it represents innovation. It's an indefinable essence, and its origins are not always predictable - but we can say innovation thrives in environments that don't thwart or stifle it. So while entrepreneurs may have an edge in originating an idea - no one to quash it - they may also suffer long odds against success, bowing to constraints on resources. 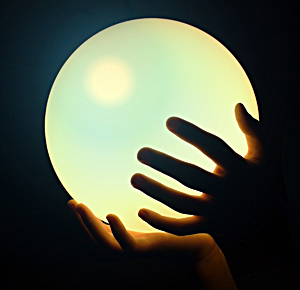 So where does innovation come from? Organizations large and small that foster it, encourage ideas, and make the resources reasonably available to idea people. 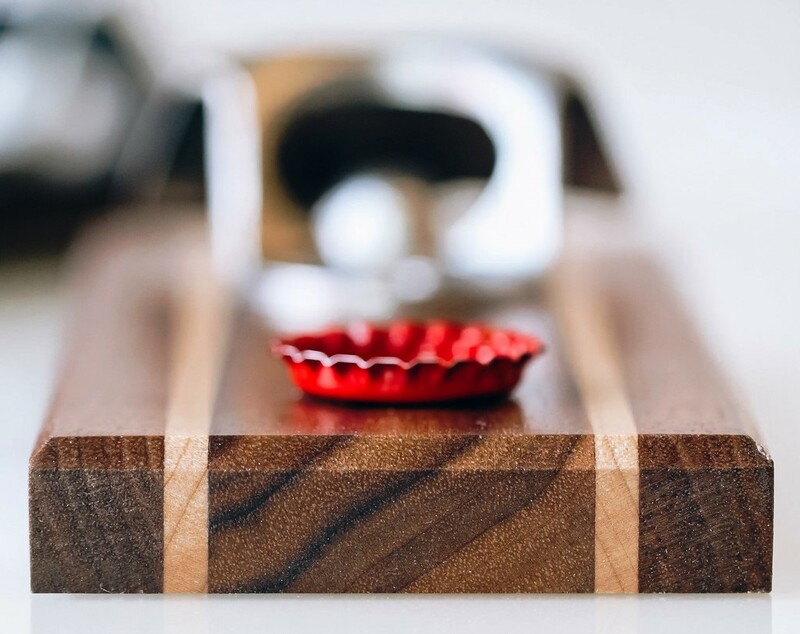 Two years ago, a pair of college roommates developed the DropCatch, a quarter sawn walnut base decorated with maple inlays on which is mounted a bottle opener, affixed to a strong magnetic backing. 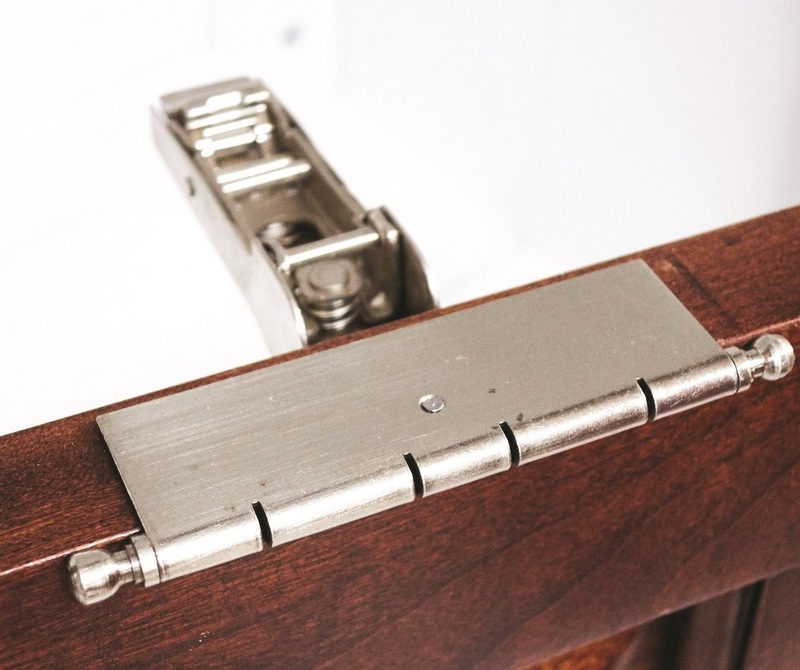 Unimpeded by any prohibitions against entering a business, the two launched a Kickstarter campaign that was rapidly overfunded, then opened a small factory in Chicago - contracting the wood production. 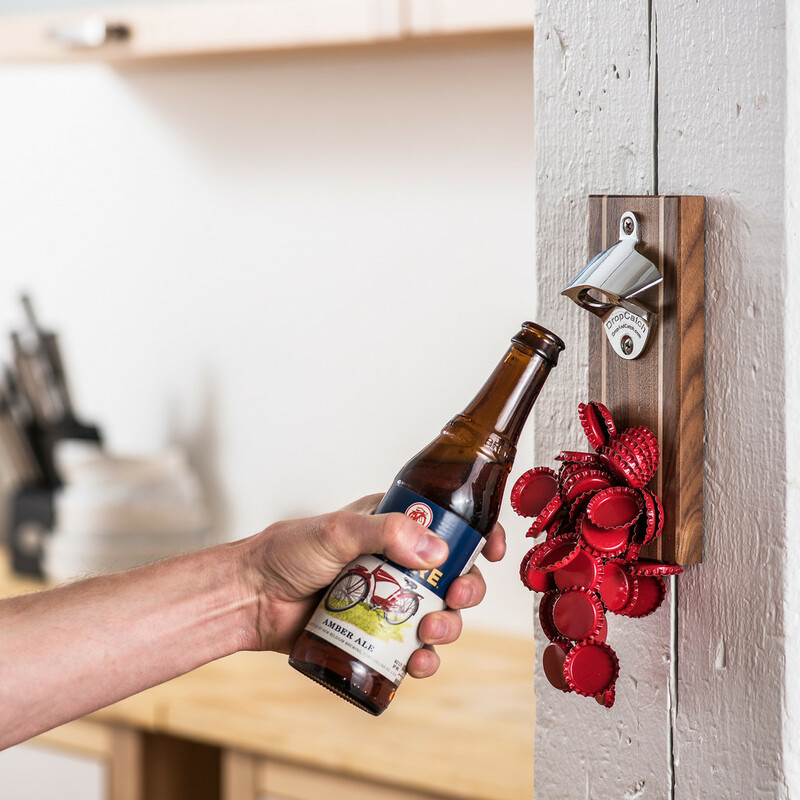 On the backside is a strong magnet that captures the bottletops, eliminating the need to pick up fallen caps. It is now exported to 40 countries and sold online and nationally at retailers. After you meet them, Walsh and Frayn follow up - in a purposeful way that drives their business. These two weren't born to be woodworkers, but they definitely have the entrepreneurial gene. And they've got the tools of the millennial age at their disposal. I bought one.